I am a Christian who believe in Karma. “You reap what you sow”. And for me, these past month has been anything than good. Have I been so bad towards others? Sigh. 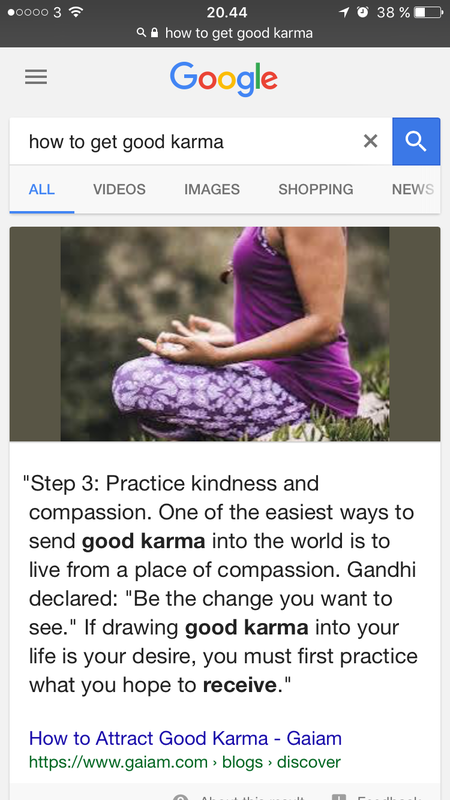 The karma that I received explains. After googling for this, I looked back and reflected. Yes, I was a bit mean to people…. but only to whom who deserve to be treated that way. In fact, I am considerably NICE to them. I guess… I am wrong. And I have no clue what to do to turn my wheels up again. Or maybe I should just be patient, one day the wheels will be up in time. But life… isnt she the biggest mystery of all?